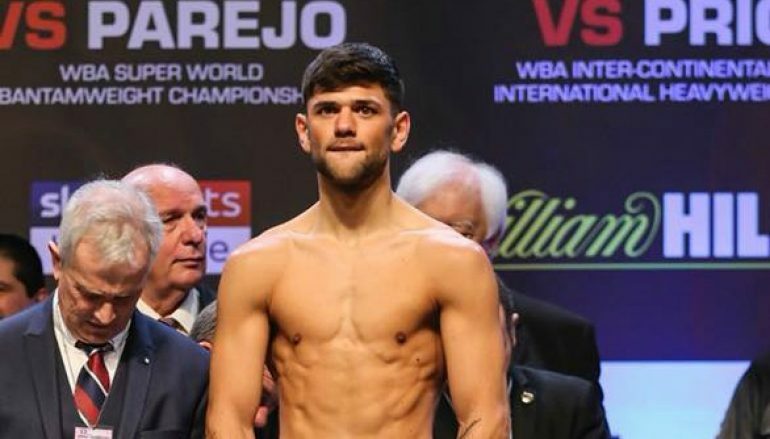 Cardiff’s Joe Cordina (7-0, 6KO) collected the first title of his career after dispensing Hakim Ben Ali (19-6, 1KO) inside three one-sided rounds at the Principality Stadium. The Welshman now holds the World Boxing Association [WBA] International lightweight title. Although lightly regarded, it affords him the championship experiences of making the official limit and going longer distances. Cordina sized the front foot from the opening bell and pursued Ben Ali, who instead opted to circle the outskirts of the ring. A steady outputs of jabs and right crosses pursued the visitor, who gained brief respite in the second round when a left hook strayed low. The former rugby player an footballer made a breakthrough in the third round. He buzzed Ben Ali with a shot high on the head and a two-fisted follow up attack forced him to the canvas. A barrage of thudding body shots and another knockdown followed with a bemused Ben Ali unable to evade Cordina’s offence. Referee Steve Gray waved the contest off and although Ben Ali protested, there was little resistance returning in Cordina’s direction prior to the official’s decision. Ben Ali came in on the cancellation of former Commonwealth champion Andy Townend, given just two weeks notice for the unenviable task. The Belgian has won his national title in two weight categories and challenged for the European Union belt in his most recent outing. Olympian Cordina is building solid momentum since his decision to join Tony Sims’ Essex-based gym. The European Championships and Commonwealth Games medallist has stated his desire to bring big time boxing back to his home city in the future and appears a favourite of Matchroom Boxing’s promoter Eddie Hearn. 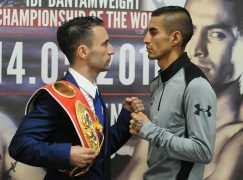 The contest opened the Sky Box Office programme and was a stark contrast from Cordina’s previous appearance at the Principality in October when he dropped and dominated Lesther Cantillano to secure a points win. On that occasion, he was sandwiched in to the schedule at the last minute and snubbed by the broadcasters, who instead opted to build up to the headliner in the moments before the main event.